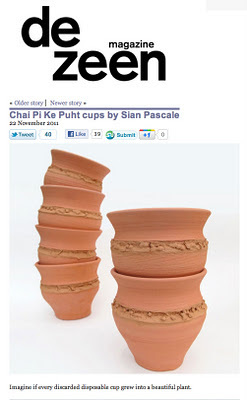 Dezeen recently featured my chai cups on their amazing online magazine. The article can be found here. From the dezeen article it spread to a few other blogs, including this one in which I am apparently a French artist. Awesome! Fingers crossed the rumour spreads.